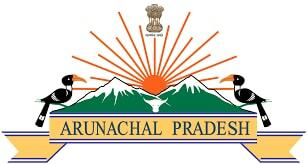 Arunachal Pradesh Govt Jobs 2018 for candidates who completed 10th, 12th, ITI, diploma, engineering. Search and apply for Arunachal Pradesh Govt jobs 2017 which are related to your qualification. Latest announced Arunachal pradesh Govt Jobs 2017 first on Emitragovt.com with Job description and eligibility criteria. Notification in all Districts of Arunachal Pradesh:- Tawang, West Kameng, East Kameng, Papum Pare, Kurung Kumey, Kra Daadi, Lower Subansiri, Upper Subansiri, West Siang, East Siang, Central Siang, Upper Siang, Lower Dibang Valley, Upper Dibang Valley, Anjaw, Lohit, Namsai, Changlang, Tirap, Longding. Last Date: : 09-08-2017 at 04:00 PM Hrs. Qualification: 8th, 10th, 12th, Graduate, Degree/Diploma.